Sociology through the Projector takes issue with the question of how contemporary film can help answering the general, abstract but still urgent question: what is the social today? 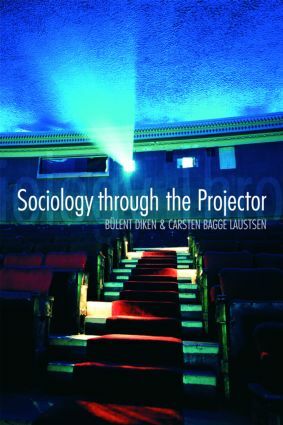 This book explains the performative relation to contemporary social theory in which cinema functions as a tool for social diagnosis. There is much to be learned about social theory through an encounter with films as films are part and parcel of the society they portray. Increasingly more lay knowledge about social problems and facts stems from cinema as it offers to large audiences a popular and pedagogical introduction to social knowledge. Social theory cannot avoid a critical engagement with cinema as cinema interprets, invents, displaces and distorts the object of sociological inquiry. This book will provide a deeper understanding of contemporary social theory as the chosen films will work as a pedagogical route into contemporary social theory. The films represent a mix of European and American blockbusters and more aesthetically orientated films. The authors question several dominant topics and concerns within social theory and film studies. Firstly, by cross-examining a series of concepts such as identity, representation, memory and surveillance (filming social behaviour) which are of concern to both film theory and social theory. Secondly, by trying to develop imaginative approaches to standard social concerns such as exclusion, gender roles and inequalities, power, infantilisation and commodification of the social and psychological bonds. This book will be a great resource for students and researchers of Sociology, Contemporary Social Theory, Film Studies and Cultural Studies.